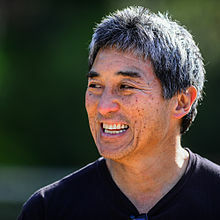 Guy Kawasaki is the CEO of Garage Technology Ventures, a venture capital firm in Silicon Valley, California. He is one of the original Apple fellows and is a big part of the success of Apple Computers. Since then he has broken out and started his own firm providing guidance and seed capital for new businesses in the IT market. He is the author of 12 business books which include Art of the Start, The Apple Way, Enchantment: The Art of Changing Hearts, Minds, and Actions and his latest book APE: Author, Publisher, Entrepreneur-How to Publish a Book (co-written with Shawn Welch). He is a canny business mind who makes the business of business into something both simple and digestible.